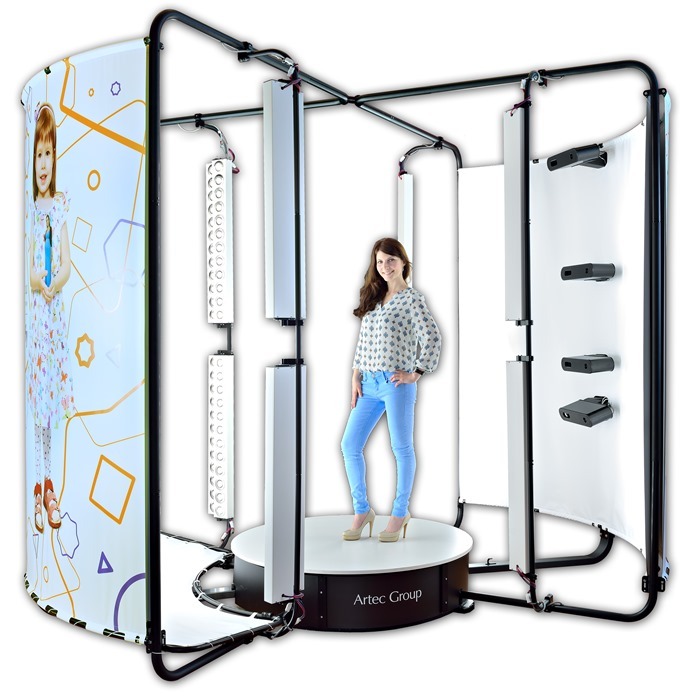 From April 2017, an Artec Shapify Booth (a 3D full body scanner made by Artec 3D) will be installed in the cafeteria on the 1st floor of the university’s Maison du Savoir, Belval. Staff, students and members of the public are invited to volunteer to be scanned. The data gathered will allow scientists working at the university’s Interdisciplinary Centre for Security, Reliability and Trust (SnT) to develop new mathematical methods for modelling the human body shape in 3D. The full scanning process takes approximately 15 minutes per person, and volunteers go home with a 3D selfie and electronic access to their 3D data. There will also be a monthly competition for volunteers to win a 3D printed statue of themselves. The full scanning process takes approximately 15 minutes per person, and volunteers go home with a 3D selfie and electronic access to their 3D data. Currently, state-of-the-art 3D scanning devices can only facilitate the creation of accurate digital 3D models of the body if the subject is wearing skin-tight clothing. This has clear drawbacks for everyday applications, and a team of SnT scientists, led by Dr Djamila Aouada, in collaboration with Artec 3D have set themselves the challenge of being able to arrive at accurate estimations of body shape regardless of clothing. Current techniques relying on face recognition could be greatly enhanced by the wealth of information full body scanning can provide. Data confidentiality is of the greatest importance, and SnT is working closely with the Luxembourgish Commission Nationale pour la Protection des Données. For further information, please email shapify3D@uni.lu. The scanning booth is open Monday to Thursday at lunchtimes during term time, from April to July. Artec 3D is an international company, headquartered in Luxembourg, with subsidiaries in the United States (Palo Alto) and Russia (Moscow). Artec develops and produces innovative 3D solutions and products. Artec has a team of professional experts in the collection and processing of 3D surfaces as well as biometric facial recognition. Artec’s products and services can be used in many industries, such as in engineering, medicine, media and design, entertainment, fashion, historic preservation, security technology and many more. Shapify.me, the service for the creation of 3D characters, was designed and introduced in 2013 by Artec 3D: https://shapify.me. The Interdisciplinary Centre for Security, Reliability and Trust (SnT) is collaborating with Artec 3D through its Partnership Program, where SnT scientists are researching new concepts to tackle the key challenges facing industry and the public sector in information and communication technology (ICT).